New Wave Domesticity: Beautiful Spring Day & Cherry Blossom Nails! I am absolutely in love with this time of year because the gorgeous cherry blossom trees are in full bloom and the neighborhoods are speckled with pretty hues of pink. This weekend, I had a lovely brunch with a friend and then we decided to take in a bit of spring cheer Portland style by checking out the blooms at Waterfront Park! 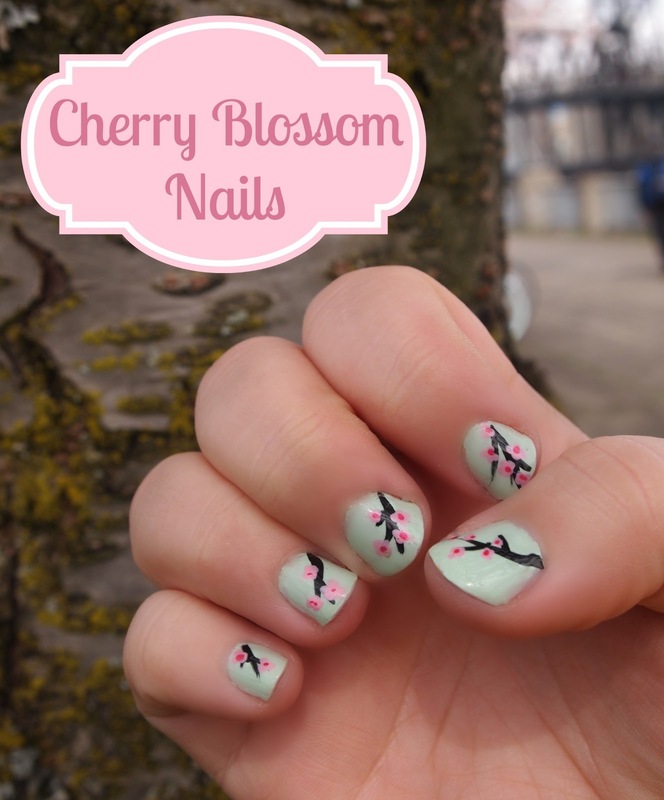 I was so inspired by all the loveliness, that I decided to to paint up some pretty cherry blossom nails! Oh good heavens! I WISH I was that talented when it came to doing my nails! Super gorgeous! I haven't noticed Cherry Blossoms out here, but I know back home in VA they were so gorgeous! There is actually a festival in DC!